Join The CCHS Bands Alumni Society!!! Our alumni students and alumni parents will always be a part of the CCHS Band family. We want to stay in touch with our alumni and help you reconnect with us. As you move on in life, let us know how you are doing, send pictures from college band experiences, personal milestones, and other poignant events. We want to hear from you! Please provide us with your current contact information using the Alumni Contact Form Found on this link. This way, we can keep you informed of reunion events, upcoming concerts, and other special alumni opportunities. Download the form, complete it, and email or mail it in to the CCHS Bands Office to submit your information today! (Rest assured that we will use the information only for our records). Legotum – “Legacy” – One of the greatest aspects of the Cathedral City High School Bands is our continuing pursuit of Excellence as a Standard. This pursuit has helped to establish a foundation that makes the CCHS Bands a unique and life-changing experience for those who chose to participate in the organization. With a remembrance of the many that have come before us, it is the current members of the CCHS Bands that remain the heart and soul of our continuing success. It is our belief in standards, acceptance of responsibilities, and sharing in the special relationships that allow the CCHS Bands to continue to function at an exemplary level of performance year after year. Welcome home former band members and parents! You helped build the foundation of excellence for today’s program and for that we are honored to continue the Legacy you helped to establish. You will always be a vital part of the CCHS Bands family. 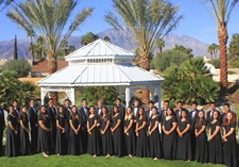 Since 1991, our band program has been “Leading The Way” at Cathedral City High School through our Commitment To Excellence. Creating memories and marking personal successes are an important part of our program. We all value the lifelong friendships and bonds that are made through participation in band, and the sense of accomplishment in our performances is a wonderful feeling all of us enjoy. As the initiating project of the CCHS Bands Alumni Society, we are undertaking “The Legacy Project”. Email us with pictures from a band event or tour, and a “memory” that you could post from your years in band here at CCHS. We hope to include as many CCHS Band Alums from all across the spectrum of our great history. Your posting will allow everyone who has once called the CCHS Bandroom home to find common experience and connection through reading the many memories all of us have from our days in room 815. Please note that your posting will be available to everyone on the CCHS Band site. Of the utmost importance, we would like you to connect once again to the Cathedral City High School Band Family. The four tenets proudly placed in the Great Seal of our Band Program still ring true…EXCELLENCE, SERVICE, FAMILY, AND LEGACY. Plan on attending our upcoming events and concerts (listed on the Band Calendar and Performance List). Support those students now committed to musical excellence, and carrying forward your legacy in music by making a donation to our program of your resources. As a 501(c)(3) non-profit corporation, your donation to the CCHS Band Boosters is tax-deductible. Your gifts make scholarships, instruments, and special programming possible. Think back to the many guest conductors, tours to far-away lands, and pieces of great music we performed during your tenure here in the CCHS Bands. YOU CAN MAKE A DONATION TO KEEP THE MUSIC GOING. We hope you will stay connected with all the great things that are happening with the Bands Of Cathedral City High School. Our website is updated regularly and you can check out the Alumni News Link to get information on alumni events and happenings. To add information to this page, simply contact me at mhowe@psusd.us and we will get your news posted! Thank you for visiting the home of the Cathedral City High School Bands here on the world wide web. We look forward to hearing from you, and maybe seeing you in person at our next concert or event!